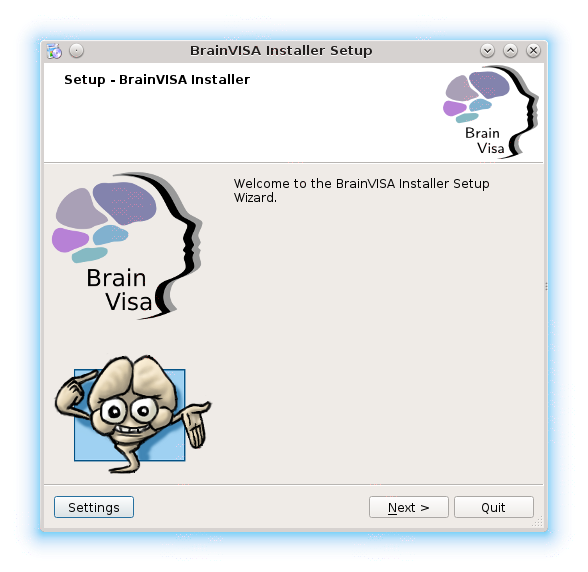 BrainVISA is a set of software, freely distributed as software bundles for Linux, Mac and Windows. You normally need the “online” installer variants, which are more lightweight: they will download packages which need to be installed, and only them, once they are selected. The “offline” installers contain all the builtin packages, and thus do not need to download them when installing. Use them to install BrainVISA on computers which cannot access the internet network. Most of the time we don’t even build them because they are big. We make them when there is a need for them. Problems with the Mac version: Fixed. Release 4.6.0 for Mac was broken. The newer version 4.6.1 should solve this (we hope). You will need a network connection during installation when using the “online” installers. Three main programs, BrainVISA, anatomist, and morphologist are available directly in the root directory of the installed software. A lot of other programs are located in the bin subdirectory. Note that packages repositories may be configured in the installation program, and additional repositories may be added, for instance to include packages maintained by external labs. Once installed, the setup program BrainVISA_Suite-Update will allow to update some packages, install new ones, or to setup additional repositories. In the bash terminal: Type firefox, then download and install BrainVISA for Ubuntu 16.04. 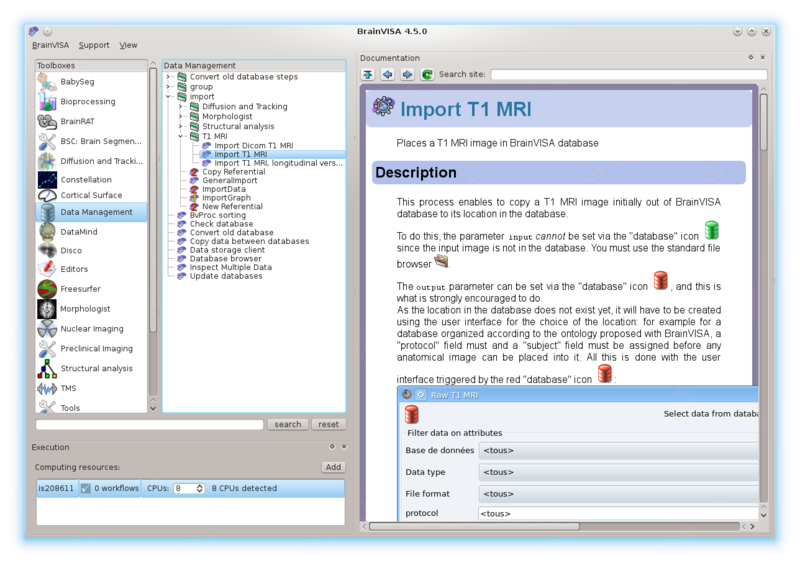 Three main programs, BrainVISA, anatomist, and morphologist are available directly in the root directory of the installed software. A lot of other programs are located in the bin subdirectory. anatomist is the interactive 3D visualization software. morphologist is the new user interface for the main Morphologist pipeline. 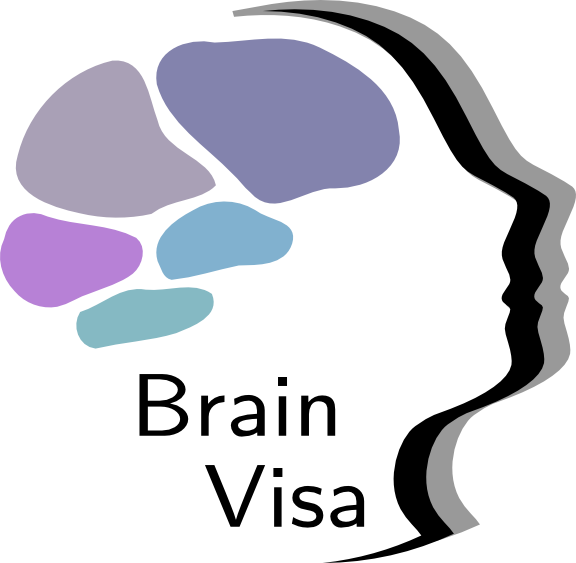 brainvisa is the user interface to Axon, which will generally be the entry point to all other applications and toolboxes. You may also have access to morphologist and anatomist from the brainvisa program. 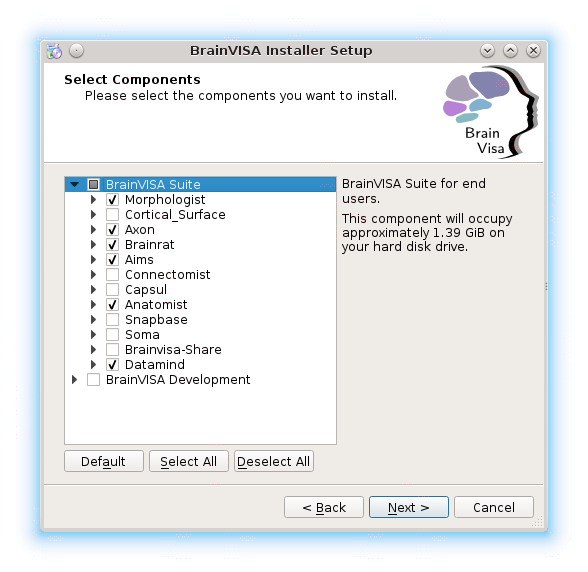 Once started, brainvisa will need a bit of configuration: go to the “BrainVISA / Preferences” menu, and setup especially paths to external software such as Matlab, SPM, FSL or Freesurfer if you have installed them. BrainVISA is working with files and directories organizations, and local databases, more generally regrouped under the term “databases”. You will have to setup at least one to make it work in optimal conditions. At the beginning a database is a new, empty directory, where BrainVISA will import unprocessed data and write processed data. Before running processing, raw data thus has to be imported in such a database: use the “Data management” tools, “import” to do so. For T1 MRI processing (using Morphologist), you will typically use the “Import T1 MRI” process, or the “Import DICOM T1 MRI” process. Appropriate import processes are generally also found in processing toolboxes. More information may be found in the Axon tutorial and, more generally in the Axon documentation. Globally, it is free for a non-profit usage. As the whole set of software contains several sub-packages, each may have its specific licencing policy. See individual modules for licence information. Some are “really” free and open source (CeCILL-B, BSD-like licence), some are CeCILL-v2 (GPL-compatible), and some are closed source with free binary distribution for non-profit usage. Anatomist is CeCILL-B, with some additional python plugins which are bound to GPL. This basically leaves the possibility for toolboxes developers to choose the licence which suits them (open or closed), with some PyQt (GUI) parts which have to be GPL-compatible. Morphologist, BrainRAT, cortical_surface and some other toolboxes also include closed-source code in their algorithmic parts. They can be used freely for non-profit usage. Typically academic research applications are OK.
Commercial applications of these toolboxes should contact their authors before proceeding. If you see this message your system needs a more recent libxcb library than the one provided in the BrainVISA package. 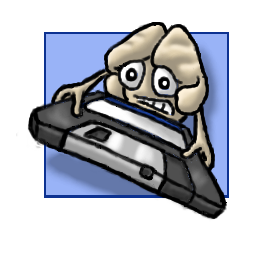 To fix this, you can either try another BrainVISA package build on a more recent system (see the glibc version on the package name) or remove all the files starting with libxcb from the lib directory of the BrainVISA package. © 2019, BrainVisa group <brainvisa@brainvisa.info>.